IRVINE, Calif., February 7, 2018 – (RealEstateRama) — CoreLogic®(NYSE: CLGX), a leading global property information, analytics and data-enabled solutions provider, today announced it is adding DisclosureSave to the Clareity® SSO Dashboard to enable nearly twenty-thousand California agents simpler access to natural hazard disclosure reports required to close each transaction. Three multiple listing organizations throughout the state now display DisclosureSave as an option for their members—allowing them to conveniently select and order reports directly from the Discover Network panel within the Clareity SSO Dashboard. 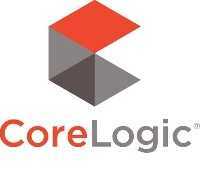 CORELOGIC, the CoreLogic logo, CLAREITY, MATRIX and REALIST are trademarks of CoreLogic, Inc. and/or its subsidiaries. All other trademarks are the property of their respective owners.